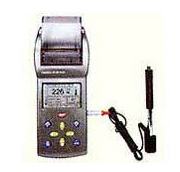 Loaded with many features, the portable hardness tester is capable of measuring the surface hardness. This device is specially designed to use comfortably, as it is a handhold product. The aim of this product is to measure the thickness of metal parts. India Tools & Instruments Co. is known as the best Portable Hardness Tester Manufacturers that offers you the high quality Hardness Tester, which shows you the accurate results. It is an easy to use device. We have a strong client base, and serving many clients globally. Our expertise has made us the best company of our industry. We have a wide range of products for various industrial needs. We offer advanced technology based products, at a very affordable cost. It is a great product and mostly used in industrial sectors. Being the top Digital Portable Hardness Tester Manufacturers, Suppliers, and Exporters, we keep a constant eye on the quality of our products to maintain the reputation of our brand. You will get an after sale support from us, so that you can use the product with the right instructions and care. We hold industry expertise for offering Portable Hardness Testers, which are used for testing of impact devices. These products are manufactured using A-grade material under quality bound process at our advanced manufacturing facility. Portable Hardness Testers, we offer, are reckoned for accurate results, reliability and cost-effectiveness. We bring forth for our clients Portable Hardness Testers, which are proficient to measure in hard scales. Further, these products are offered with integral / removable printer and are effective testing at various angles including upside down. 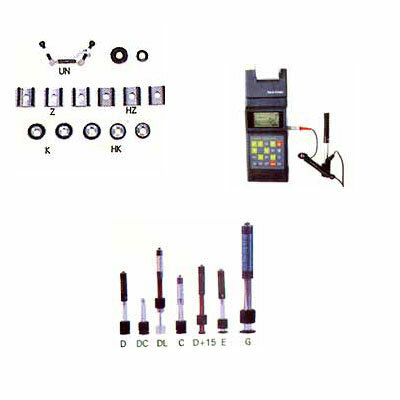 We offer these testers in various models and specifications to meet diversified needs of our clients. 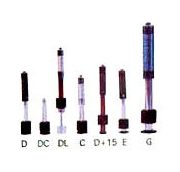 We are one of the leading exporters of superior quality Portable Hardness Testers, which are developed as per set industry norms and standards. 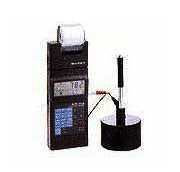 These testers are proficient for determining the hardness of numerous materials. 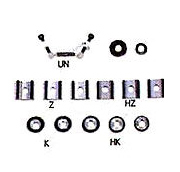 In addition, these are offered with supporting rings for effective operations. We are distinguished in the industry for offering Portable Hardness Testers, which are acclaimed for compatibility with various types of impact devices. These equipment are offered with organized keypad, menu arrangement and thermal printer for convenient testing. Our treasured clients can avail these auto-identification testers at market beating prices from us.